Externalities are costs, or benefits, that are not included in the price charged for a product. If a cost is not included in the price, it represents a negative externality. If a benefit is not included, the externality is positive. The concept of externality is particularly important to determine whether an activity is sustainable. For instance, if an industrial activity pollutes and causes harm, there will be consequences, and costs. As it takes many years for environmental problems to become obvious, the cost of repairing the damage caused by pollution is not included in the cost of the goods produced by the industrial activity in question. However, there will be a day when it there will be no alternative but to clean the damage. That cost is the externality. Every activity that pollutes without cleaning the contaminants is a negative externality. Everything that damages physically the environment and undermines the sustainability of food production is a negative externality. Every activity that depletes essential resources for the production of food is a negative externality. In this highly industrialized world, the consequences of economic and human activities, slowly add up. Nature’s resilience makes it possible for damage to remain unnoticed for quite some time. However, the ability of Nature to repair the damage shrinks, as the damage is continuous and exceeds Nature’s ability to cope with the problem. As the population increases, the level of human and economic activities intensifies further. There will come a time when Nature simply cannot handle the damage and repair it in a timely manner anymore. The buffer will be full. When this happens, the effect of negative externalities will manifest immediately, and it will include the cumulated damage over decades as well. It will feel like not paying the bills for a long time and then having all belongings repossessed. Humanity will feel stripped and highly vulnerable. The advisory services company KPMG published a report in 2012 stating that if companies had to pay for the environmental cost of their production, it would cost them an average 41% of their corporate earnings. These costs are currently not included in the pricing. That is how high negative externalities can be. Looking at it from the other way, companies would still deliver 59% of their current earnings. Repairing the damage and still generate profits shows that sustainability is financially achievable. On average, the profits would only be lower, but the impact would vary substantially between companies. Businesses that create high negative externalities will show much bigger drops in profits, than business that do the right thing. The only ones who would have to get over some disappointment would be Wall Street investors and all those who chase capital gains on company shares. The world could live with that. Investors should put their money only in companies that actually have a future. All the fossil fuels that humans burn are gone forever. It is not renewable. All the water that farmers use for food production and exported away from the production region is gone forever. Exporters in arid regions will have no choice than disappear, produce only for the local markets, or if that is economically sensible, import water from surplus regions. All the minerals that are used as fertilizers and that are exported from the fields in the form of leaching or in the form of agricultural commodities are gone forever. New supplies produced either with non-renewable energy sources or from mines that are slowly depleting must replace the loss. Organic matter that is lost from soils must be replaced, or it will be gone forever. Soil that is lost through erosion and climate is gone forever, unless new soil is brought back on the land or very long-lasting repair techniques are applied. Every gene that is lost is lost forever and might be missing dearly. Every species that goes extinct is gone forever, as well as its role in the ecosystem. Every molecule of greenhouse gas that goes into the atmosphere is gone out of human control forever. It might bring a heavy cost in the future. Since everything that becomes rarer also becomes more expensive, the externalities are going to weigh on the economics of food and agriculture, as well as in any other activity. There will be an oil price for which the current machines will be too expensive to operate, and for perishables to be too costly to truck with fossil fuels over long distances. The economics of water will change the purpose of farming in arid regions. It will alter the agricultural policies and force farmers to innovate new irrigation techniques. The economics of minerals and organic matter will change the location of animal farms and manure containment systems. No minerals will be lost. Manure will become a competitive fertilizer, as chemical fertilizers will become much more expensive to produce. The logistics of manure will change and the location of animal farms will change to allow an optimal cost efficiency of raw material for feed and access to fertilizing elements and organic matter. Farms will not have to be mixed, but the agricultural landscape will restore an integration of crop farms with animal farms. Agriculture will be sustainable only if completes all the cycles. In the past decades, the cycles of minerals, of organic matter and of water have been open. Food has been produced in one place, and then moved over long distances and the waste and surpluses have accumulated somewhere else, while the original production areas were slowly depleting. New systems and new organization will work on closing the cycles again to bring back what agriculture needs to function. The economics of energy will change the chemical industry and its products. Everything will aim at using as little primary resources as possible and maximize the efficiency of inputs by both bringing entirely new products and application techniques. It will be true for energy, water, fertilizers, chemicals, medicines. The new focus will be about using just what is needed when it is needed and only in the dose that is needed, and no more than that. It will be all about precision agriculture, precision animal husbandry, precision packing, precision manufacturing, precision processing and precision logistics. When externalities manifest immediately, there will not be the time discrepancy between financial results and environmental results. There will be no excuse anymore to say that there is no evidence of consequences. There will be no possibility of creating the confusion, either. When pushed to the limits of its resilience, Nature will bring the financial and the environmental at the same timeline. It will be stressful. Doing the right thing environmentally, or in other words, producing sustainably, will be the best, and only, short-term strategy for financial sustainability. 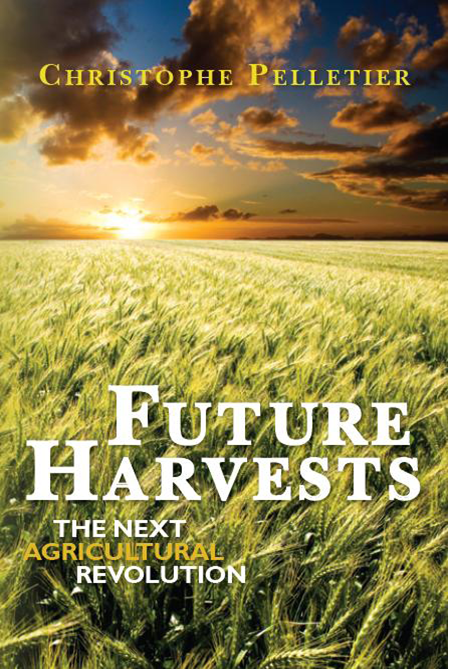 You are currently browsing the The Food Futurist blog archives for March, 2012.